Did you know Courts for Kids trips aren’t just for youth? We offer all adult, family, and corporate trips as well! 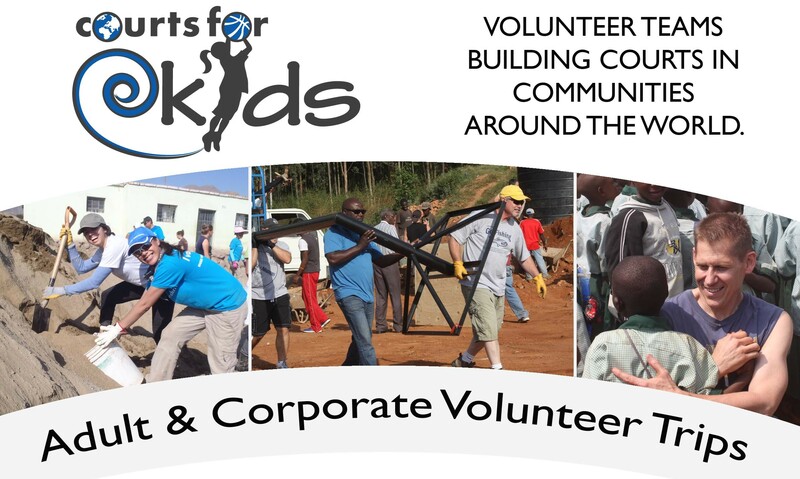 These trips not only promote a work/life balance and family bonding but they also offer unique team building and leadership experiences for everyone involved all while traveling and working with a community to build a multi-sport court. Tax Deductible – Your trip costs are 100% tax deductible. Turn-Key Trip Planning – We take care of all of the trip planning and execution. Customize Your Trip – Choose from our destinations around the world and plan the trip around your schedule. True Community Partnership – Community members initiate each project and contribute with manual labor and resources to build the court in their community. During the trip we work, eat, and stay with the locals. Download our Adult & Corporate Trip information here. To see what upcoming open trips are available for you to join, click here.